Personalise your reusable amity plastic coffee cups with cork band (350ml) or custom design plastic mugs for your marketing campaign. 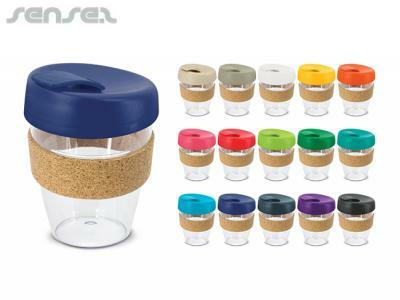 How can these unique promotional reusable amity plastic coffee cups with cork band (350ml) or our personalised plastic mugs fit in with your marketing strategy and help you maximise your brand exposure? We can have your logo branded on these corporate Reusable Amity Plastic Coffee Cups With Cork Band (350ml) in Engraved or 1 Colour Pad Print. A setup fee of NZ$191.00 will apply to make the film.